The LIBREXCOIN MOBILE SOLUTIONS™, offering performance, simplicity, speed, elegance and safety for your money for use on smart phones, tablets, etc. Over many years various coders have tried unsuccessfully to produce mobile wallets for smart phones with staking abilities. LIBREXCOIN is a pioneer and innovator in this field. We are the first crypto currency developing mobile wallets for smart phones combining (POS) 100% functional inside your mobile with standard wallet features. LIBREXCOIN offers better code quality. 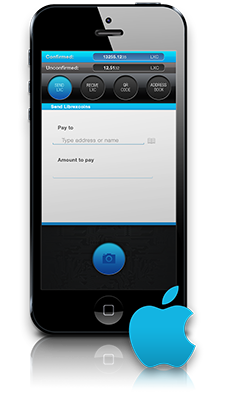 Our applications are produced in native Android, IOS and Windows’ Mobile native code. This means greater efficiency, lighter applications, and superfast synchronization. Crypto currency will gradually replace FIAT. The smartphones, will be a new kind of wallet for people’s money. You can take your money with you anywhere in the world and use it. 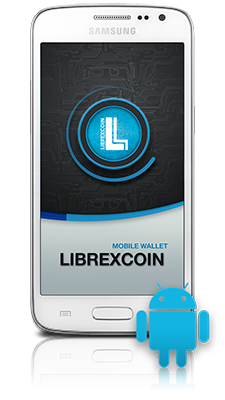 LIBREXCOIN MOBILE SOLUTIONS™ offers you the possibility of earning interest on your mobile device. 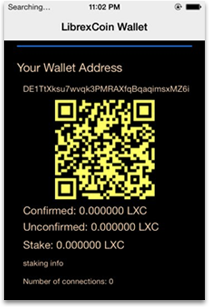 That is, your coins make even more coins now on your smart phone, with low consumption of energy in the LIBREXCOIN wallet. This is wonderful, you may be able to earn enough additional coins to pay the bill for your cell phone at the end of the month by just keeping coins in your mobile wallet and the app running during the free time, or when you sleep. Compact and intuitive screens design and simplified integration for people. Intuitive color, Scanner QR interface option makes usability quick and easy learn. 70% more energy efficient compared to other systems. 90% faster blockchain synchronization compared to other systems. Optimized Software produced in native languages Android, iOS and Windows. Scanner functionality, ease to transfer and receive coins. Diagnostic tools built into the software to help identify the root cause of unexpected events and possible bugs. This helps us to make improvements of these processes. 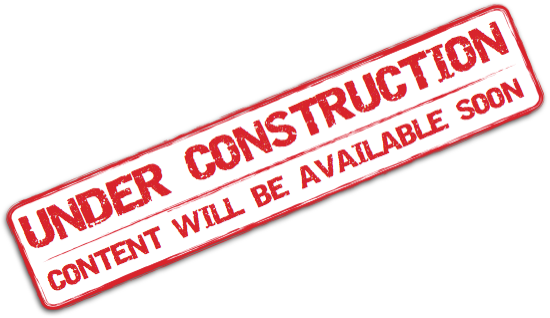 Constant updates of applications for the benefit of users. World's first crypto Android wallet released Aug 11 2014. 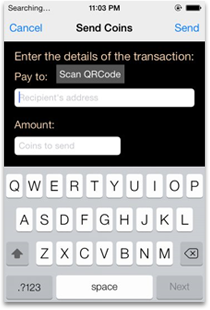 Fully functional IOS wallet with QR scanner code built into the wallet released Aug 20 2014. Developing the staking windows mobile wallet. There are many different ways to get Librexcoin. You can buy them, trade for them, get tipped, and many other ways. They are surprisingly endless! You can get tipped Librexcoin by participating in our community. If that's not your style, the easiest way to get your first Librexcoin is to get them from a faucet. A Faucet is a website which gives you a small amount of Librexcoin for free to introduce you to the currency! All you need is your Librexcoin address. http://cryptoarrow.com/faucets/librexcoin/ - Enter your address to get free Librexcoin. You can also buy them or exchange for them with regular money or Bitcoin. This is an easy way to get Librexcoin. Note: These online exchanges are not owned or maintained by Librexcoin’s developer. While we are satisfied they are trustworthy, reliable services we advise to please use at your own risk. Fully functional and Intuitive iOS mobile wallet that supports staking. It also has Qr code reader/scanner that makes it very versatile. It is available now for Cydia and soon to be released pending Apple approval on Apple app store. We hope you like. It was custom made in native iOS code especially for Librexcoin to function and work cleanly and intuitively on Apple devices with iOS 7 and higher. Select repo sinetek, install Librexwallet.